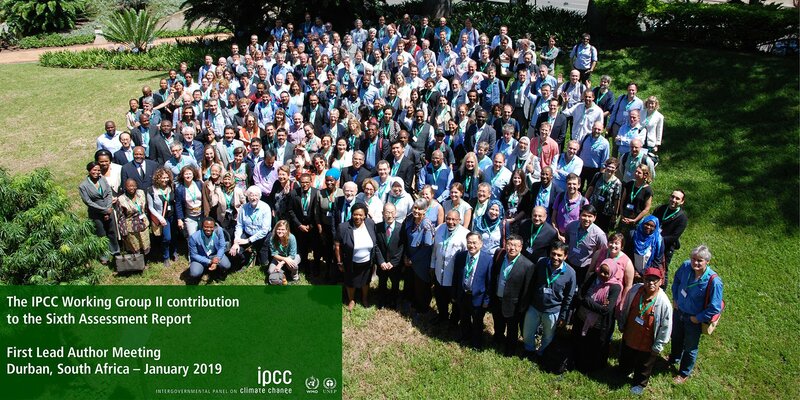 Elena Ojea is back from Durban (South Africa) where she attended the first Lead Author Meeting (LAM) for the next IPCC Assessment Report (AR6). The week was intense but very exciting and Elena got to know the IPCC process first hand and started the work with the colleagues from the Working Group on Impacts and Adaptation. The IPCC has a long history of science-policy communication, where scientific reports have reached global policy and awareness of the impacts of human induced climate change, adaptation measures and ways to mitigate rapid change. Created by the UNEP and WMO, It has published 5 assessment reports that have had very strong influence in the evolution of climate action by countries. From setting the limit in 2ºC worming by the end of the century, to the global carbon stocktake agreement upon the Paris Agreement in 2016. This sixth Assessment report will update current evidence on climate change impacts and adaptation to understand in an objective and comprehensive manner, what are our limits and development pathways to avoid drastic climate change in the future. The report will be available in 2021, after more than two years of intensive work by Lead Authors. Elena Ojea is one of such Lead Authors in the Ocean and coastal ecosystems and their services chapter, and will be attending the periodic LAM meetings. We will keep up with the news and this important project for the long term sustainability of life on Earth!